The Workstation on top of my server rack has 3 Ethernet ports. One is built in to the mother board, and and two are on a card. I want to use these three ports for different purposes. How can I tell which is which internally? The answer lies in /sys/bus/pci/devices/. My new role has me paying attention to the Network side of cloud a lot more than I had to in the past. One thing I’ve noticed about Networking is that it has a lot of acronyms, and people that work in it tend to throw them out in context and move on. This is my collection of recent acronyms and their meanings. I will continue to update this one as I come across additional relevant terms and acronyms. I’m trying to do only the minimal amount via Minicom to get the SRX220 up and running. The goal is to then do the remainder of the work via Ansible. These are my notes on resetting the device back to an initial configuration. I’ve been building a home cluster for investigative work. Here’s what I have so far. I need to connect to my office via VPN. Fedora has a point and click interface, but I am trying to minimize mouse usage. So, instead I have a small bash function that does it for me. I has an OTP that I need to enter in, so I have nmcli prompt me. nmcli --ask c up "Raleigh (RDU2)"
$ cat `which vpn_up ` nmcli --ask c up "Raleigh (RDU2)"
Cluster computing requires a cluster of computers. 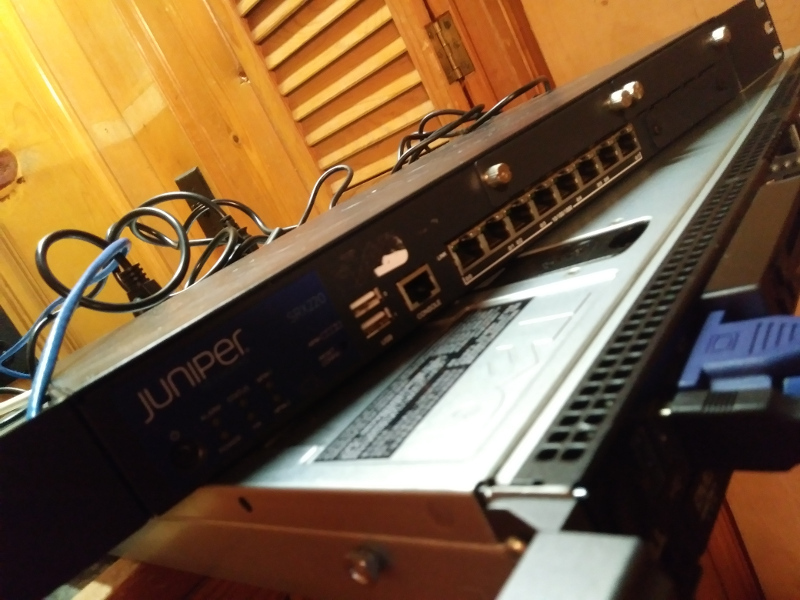 For the past several years, I have been attempting to get work down without having a home cluster. This is no longer tenable, and I need to build my own. One of the requirements for a home cluster is a progammable network device. I’ve purchased a second hand Junper SRC22. Here are my configuration notes. In my continued investigations of networking stuff, I came across the question “How do you bond two ethernet devices together?” While I did this years ago on RHEL3, I have pretty much forgotten how, so I decided to research and relearn this.